public works is delighted to announce that we've been chosen for the GLA's Specialist Assistance Team, to advise on cultural curation and community development. We'll keep you posted with what we assist on! public works has been awarded the Curry Stone Design Prize as part of 2017 Social design circle. 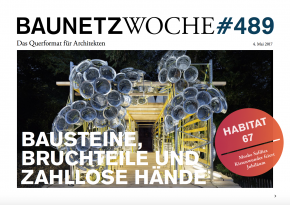 Very proud to be amongst Rural studio and Project Row Houses under the category: Can we design community engagement? 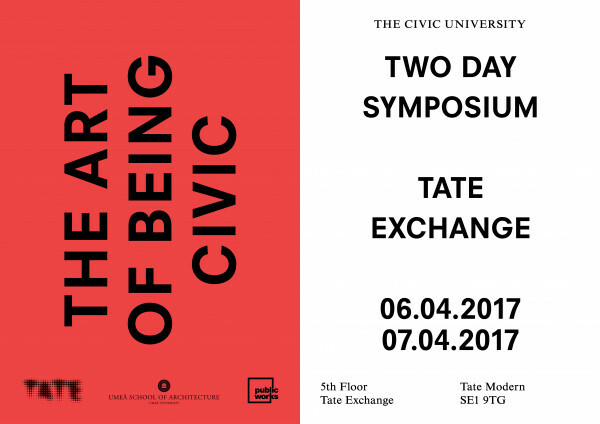 Under the title of 'The Civic University' public works, a Tate Exchange Associate, is exploring situated modes of education, both as a critique of existing university models, and as a new model where knowledges are produced by and disseminated to the civil society. It takes its point of departure from Jean-Claude Passerine's publication Les Héritiers published in 1964 denouncing the institutions role in the reproduction of unequal social structures in the content they teach, the modes of access to education and their methods of teaching. This inequality was reinforced by the coalition government raising tuition fees, the demand of a linear path towards the job market and the move away from big government to 'the big society', whilst offering no clear financial strategy of support. This changing landscape demands a closer look at the role the civil society plays in the production of knowledge and the politics of collaborative city making. The Art of Being Civic will bring together activists, artists, academics and architects to discuss pedagogies that enable civil societies actions towards social collective change. It will address how knowledge can play a role in civic activism claiming rights over the city, and act as a critical platform. The first symposium day will explore the role of civil society in relation to contemporary city making, while the second day will focus on pedagogy and education, understanding how and by whom knowledge is produced, who sanctions it and how it is distributed and accumulated. Tickets for this symposium are free but limited due to capacity. To book your tickets click here - please note you'll need a ticket for each day. The Civic University and The Art of being Civic Symposium is supported by UMA School of Architecture in Umeå, Sweden, as part of their ongoing research into alternative models for community engaged city making. EXPLORING THE ROLE OF CIVIL SOCIETY IN RELATION TO CONTEMPORARY CITY MAKING. Both practitioner and Academic Prof Betancour was director of the Masters programme of Architecture and Urban Design, Chalmers - Sweden, and the Head of Exhibitions and Public Events at The Swedish Museum of Architecture. 12:50pm - 1:10pm Iain MacKenzie - Resistance within Totalising Institutions. Iain is co-director of the Centre for Critical Thought at the University of Kent and teaches on the MA in Politics, Art and Resistance. 1:10pm - 1:30pm Nils Norman - The School of Walls and Space. Nils is an artist living in London and Professor at the Royal Danish Academy of Art and Design, Copenhagen, Denmark, where he leads the School of Walls and Space. 1:30pm - 1:50pm Franck Magennis - The power and politics of equality in Deptford. A radical egalitarian and Deptford citizen, Franck is involved with HAGL ('Housing Action Greenwich & Lewisham'), Deptford Cinema, the Deptford People Project, the Deptford Debates, and most recently the London Learning Cooperative. 1:50pm - 2:10pm Malaika Cunningham - Art as Political Engagement. Malaika is a theatre practitioner and PhD candidate based at the University of Leeds working on the arts and culture research strand at CUSP. 2:45pm - 2:55pm Adam Kaasa - Designing Politics? Decolonising an urban ideas challenge. Adam is director of Theatrum Mundi an interdisciplinary scholar who specialises in the politics of the city, foregrounding the role of architecture and design. 2:55pm - 3:15pm Dr Julia King - Infrastructure as a (civic) property and not a thing. Julia is an architectural designer, researcher and lecturer based out of LSE Cities. 3:15pm - 3:30pm Assembly SE8 - Lessons from the community garden. Conflicts, complexities and co-operation. Assembly are a collective based in Deptford who work intimately with local communities and place around art, activism, design and landscape. 3:50pm - 4:10pm Joost Beunderman - Creating fertile ground for the civic economy. Joost is a director of the London-based design and strategy practice 00, where he leads on a wide range of research and strategy projects. 4:10pm - 4:30pm Anthea Masey - Community Resources for Loughborough Junction. Anthea is a community activist in Loughborough Junction and Chair of the Loughborough Junction Action Group. 4:30pm - 4:50pm Ana Margarida Fernandes Esteves - Solidarity Economy as a Padagogy of Participatory Democracy. Ana is a researcher, activist, writer and documentary filmmaker. She holds a Ph.D. and M.A. in Sociology from Brown University, as well as an M.Sc. in European Studies from the London School of Economics. Prof Adlofsson had positions such as Pro-Vice-Chancellor of Stockholm University as well as Dean for the Chemistry Section at the Faculty of Science. He also headed several organic chemistry faculties and working committees. 12:50pm - 1:10pm Robert Mull - The Free World - Investigations in education , The Free Unit and the Global Practice Programme. Prof Robert Mull is currently developing the Global Practice Programme with international educational, NGO and institutional partners including the Civic University. Leslie is associate Professor and Head of the Graduate School of Architecture at the University of Johannesburg, South Africa. 1:50pm - 2:10pm AAA Paris - Commons based civic learning. Constantin Petcou is an architect whose work stresses the intersection between architecture, urbanism and semiotics. Doina Petrescu is Professor of Architecture and Design Activism at the University of Sheffield. Both are co-founders of atelier d'architecture autogérée (aaa). 2:10pm - 2:30pm Willem Halffman - The University as a Commons. Willem is senior lecturer in Science & Technology Studies at Radboud University Nijmegen, The Netherlands. 3:15pm - 3:35pm Ed Fidoe - Education needs a revolution. Ed is an education reformer and advisor. He co-founded School 21 and leads the 21 Trust. 3:35pm - 3:55pm Torange Khonsari - From live project to situated practice. Torange is co- founder of practice public works and senior lecturer at London Metropolitan University and UMA School of Architecture in Sweden. 4:30pm - 4:50pm Marco Clauson - Neighbourhood Academy. 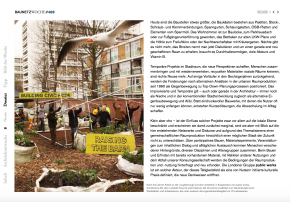 As the co-initiator of Berlin's urban garden, Prinzessinnengarten at Moritzplatz in Berlin-Kreuzberg, Marco runs various agricultural, environmental and participatory urban projects and programs. 4:50pm - 5:10pm Maurice Carlin - Islington Mill, Manchester. Maurice is the recipient of the inaugural Visual Artist Fellowship (2016/17) from The Clore Leadership Programme. He is an artist and director of leading UK independent arts organisation, Islington Mill. 5:10pm - 5:30pm Grant Smith - Home Ed in the City. Grant is an artist and writer with a broadly ecological practice at SoundCamp and self-noise.net. The Civic University is a pedagogical experiment that tests alternative modes of knowledge transfer at work in civic city making, challenging traditional urban teaching and disciplinary restriction. The Civic University manoeuvres across disciplines that complement one another, implementing new ways of knowing and acting. Teaching and learning at the Civic University is symbiotic; by situating its curriculum within live projects in the city, it can mutually provide a support structure back to the local communities, the sites they occupy and for the individuals enrolled. 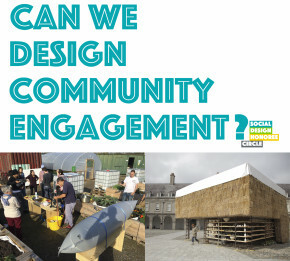 The Civic University draws together a network of local and international 'civic classrooms' – physical rooms situated within specific areas in a city – where knowledge about hands on city making is produced and disseminated on various sites such as social housing estates, high streets, community gardens, parks and other urban sites currently under threat. There are four 'Civic classrooms' already set up across London with the aim to grow to other sites, forming new partnerships and supporting existing neighbourhood initiatives. The emerging curriculum is driven by the needs and desires of local citizens as its base. The Civic University builds on a rich tradition of artist lead schools and academies, re-imagining educational models. It will reflect on such traditions, recognising itself as part of a larger movement towards more democratic forms of knowledge production. To map out this history, a growing 'Archive of Alternative Schools and Academies' will be launched during our stay at Tate Exchange. The Civic University is facilitated by public works in collaboration with the initiatives, R-Urban, The Old Tidemill Gardens, Interact Roman Road, Loughborough Farm and their associated local groups and networks. It is an ongoing collaboration with Professor Robert Mull and his initiative Global Practice Programme. In its current form the Civic University draws from the students work produced as part of Architecture and Activism, the Civic University Live Project at the Sheffield School of Architecture (SSOA), as well as the ECODA research project on co-designing resilience.